I never really understood why brides cared so much about what their wedding mail looked like until I became one (a bride, that is). Our STDs are nothing extravagant (we decided against engagement pictures because, well, what’s the point? ), so I thought it would be nice to pretty up the envelopes they came in. 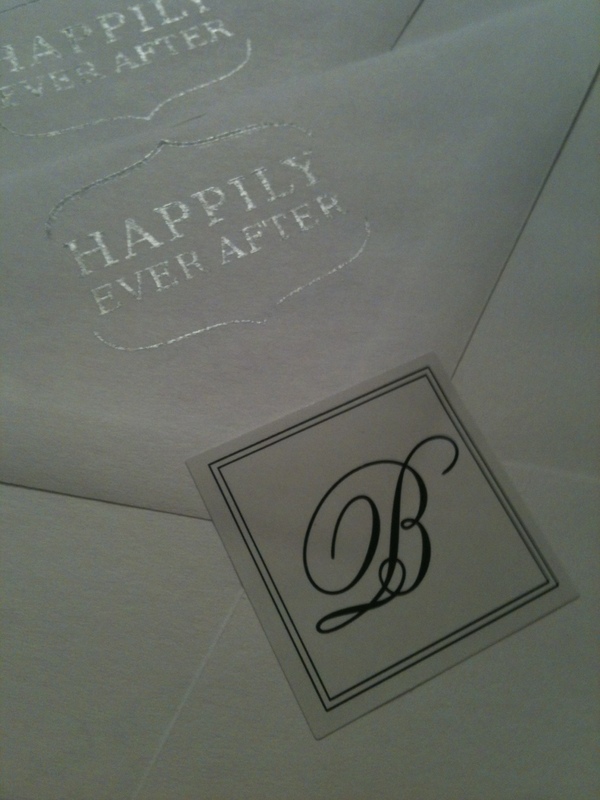 I got a cheap “Happily Ever After” stamp from Michaels for $2 – it was on sale, so naturally I just had to get it. And then I needed awesome, beautiful, silver stamp ink – for $8. Then the monogram stickers caught my eye. I got these for ManFiancé, because I just knew he’d love them. I’m trying anything and everything to keep him somewhat involved in this madness we call “wedding planning,” so I knew a nod to my new last name would do the trick. A package of 30 was $3, so I bought 5 packages to use for the STDs, invites, and thank you cards. Ok fine, so I spent $35 on just the envelopes – something I would never normally do since they’ll be thrown away in 2 seconds without anyone really noticing (which is why I put it all on the back, they have no choice but to look at it! 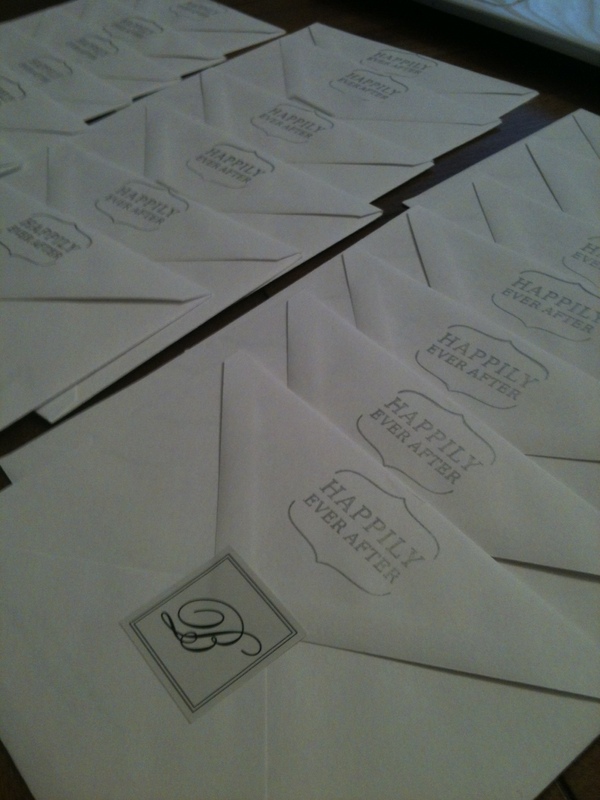 ), but it adds a little more personalization and sophistication to plain ol’ boring envelopes.